For many years a secure site or one with HTTPS has only really been of value for those that are doing eCommerce or processing sensitive information that you would not want to end up in the wrong hands. In other cases, you as a site owner may want to simply protect your clients and take liability off yourself, and therefore on particular pages, you had an SSL certificate installed. All of those reason still apply, but there is a new reason….a Google reason. In 2017 Google suggested that sites should be 100% secure and that their Chrome Browser would begin marking site as "not secure" if it does not have an SSL. Meaning that from the home page to every other page on the site and SSL should be active. SSL stands for Secure Socket Layer. This certificate provides an encrypted connection between an online connection and a server. In short, it prevents information from being stolen that is processed online. Having an SSL on your site is even more important now because at the beginning of 2018, Google announced that sites without an SSL or HTTPS would receive a penalty. Measures are already in place for browsers to show your site as "not secure" and now Google will dock your ranking based off your sites security. Who wants their ranking to go down? The official time to migrate your site to HTTPS is July of 2018. So, it is time to get going. 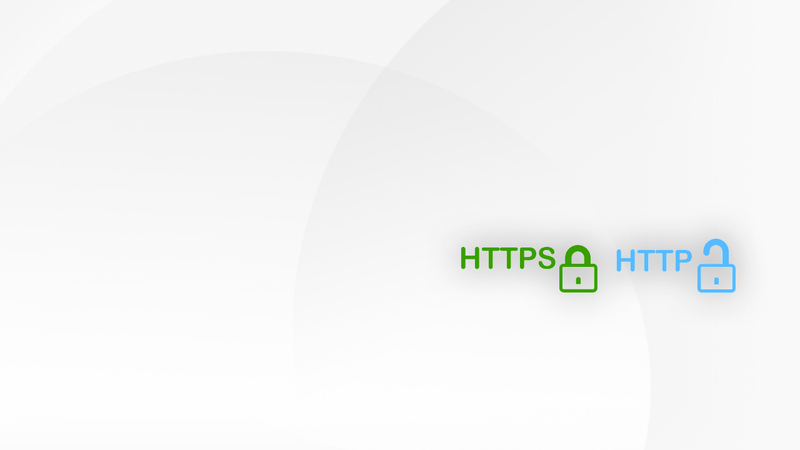 Migrating a site from HTTP to HTTPS contains several steps that must be followed to properly achieve a functional site with an SSL installed. Step one is purchasing the SSL, after that it depends on how the site is built as to the next step. Contact us today for any of your web needs, including migrating your site to use an SSL.